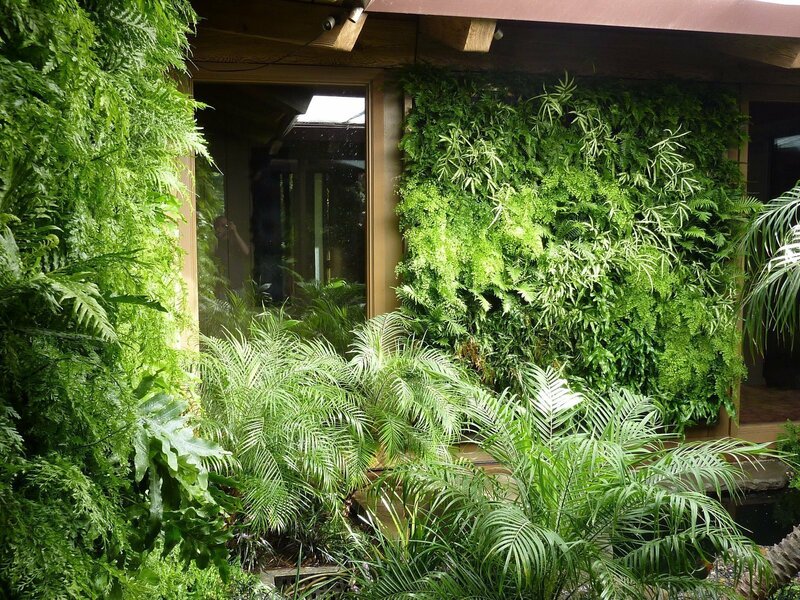 PlantsOnWalls created two fern walls for a private home in the hills of Los Altos, California. The client’s open air courtyard had shaded bright light which is the perfect environment for ferns. 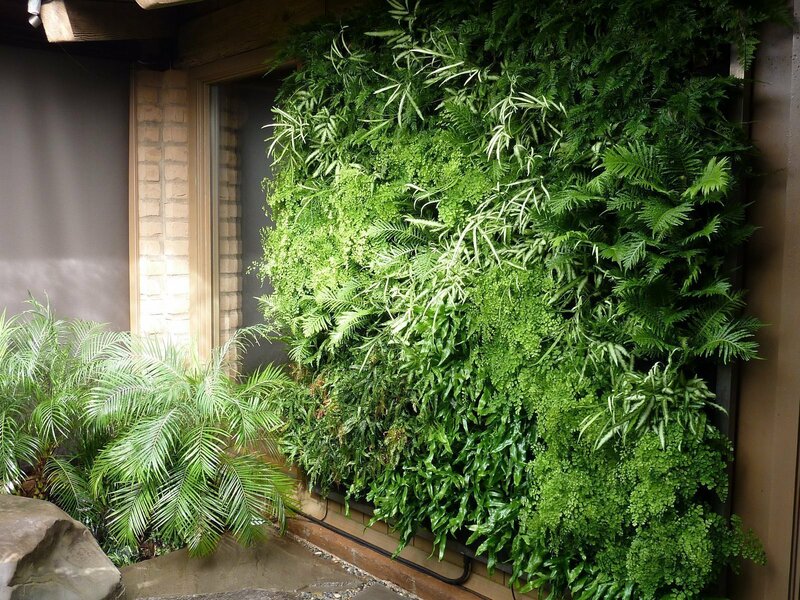 Two Floraframe Living Wall Kits 96″ wide x 99″ high were each filled with 144 ferns (total 288 plants). 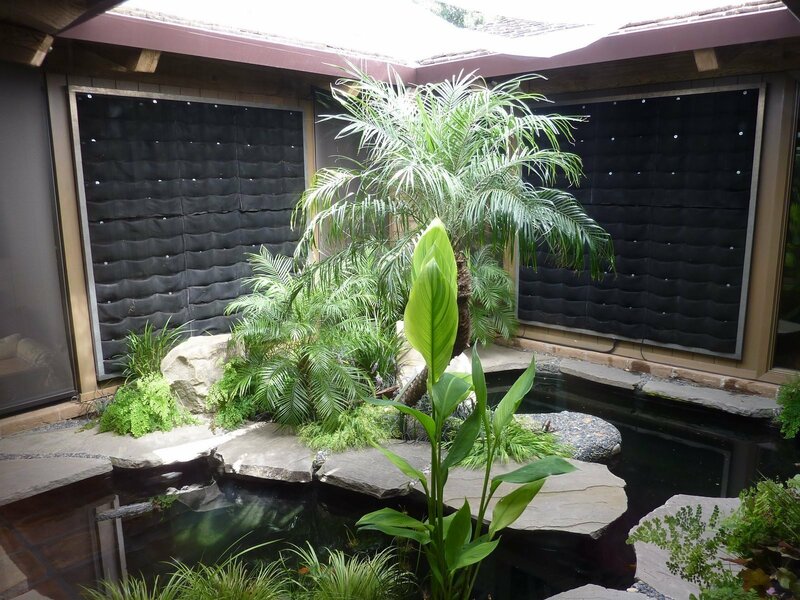 6″ potted plants were Root-Wrapped and inserted into the pockets to create the lush designs over the koi pond and existing landscape designed by San Francisco’s Living Green. 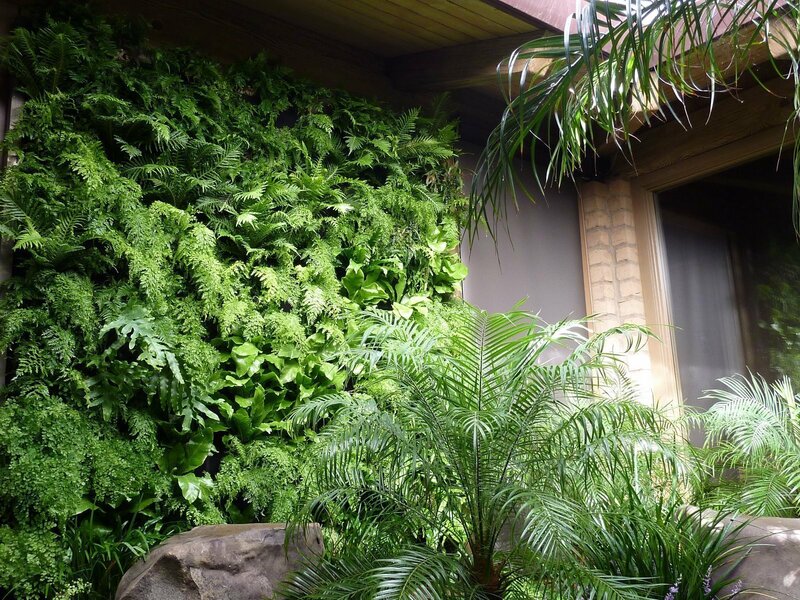 PlantsOnWalls vertical garden installation for a Los Altos Residence: Floraframe Living Wall Kits.